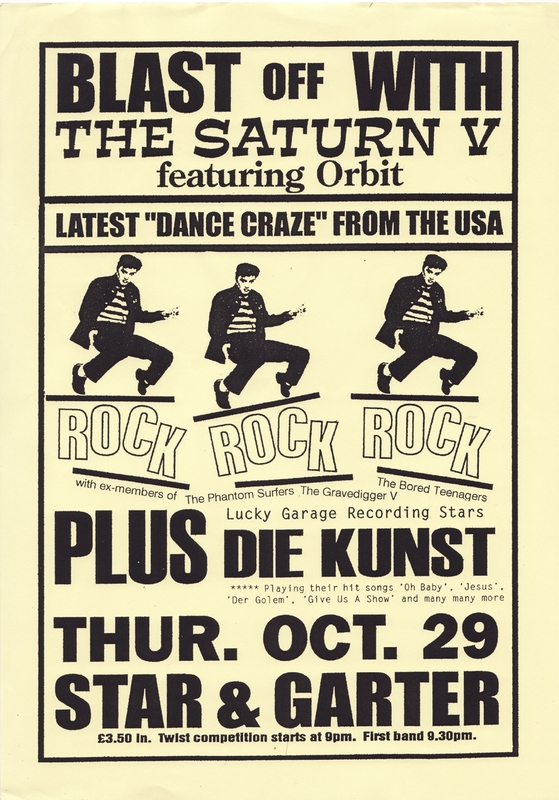 Hand out for the only Manchester appearance of legendary US frat rock band, The Saturn V featuring Orbit. Featured the greatest twist competition ever seen within the city borders. Support came from noted Manchester-based art rockers Die Kunst. It poured it down that night. Proper good Manchester weather. About 30 people turned up, all of who I knew. I lost my shirt. It was well worth it.